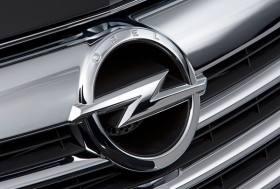 Opel's new owner could be decided by the end of the week. MUNICH -- General Motors Co. hopes to recommend a new owner for Opel shortly, the company said on Tuesday. After meeting with the German government's automotive task force and the two final bidders for Opel, Magna International and Belgian investment company RHJ International, GM said "progress was made" clarifying issues. "GM hopes to conclude its evaluation and make a recommendation to the Opel Trust Board shortly," the U.S. carmaker said in a statement. German Deputy Economics Minister Jochen Homann said after the Tuesday meeting that GM, Magna and RHJ had indicated they could come to a decision by the end of the week, but GM had not yet shown any preference for either of the bidders. GM and the German government, which provided 1.5 billion euros in financial guarantees to prevent Opel following GM into bankruptcy in June, are at odds over which bidder should take a controlling stake in Opel. GM favors RHJ's offer, media reports have said. The German government and the four states that have Opel production plants strongly support Magna's offer. Berlin is asking the bidders to invest more money than they have already promised into the German-based carmaker, according to German press reports. Magna has offered to invest 350 million euros in Opel and says it needs 4.5 billion in state financial guarantees. RHJ says it will invest 275 million euros and needs 3.8 billion of financial aid. GM's new board of directors was expected to choose one of the two bidders at a meeting on Monday evening, but the board made no recommendation because, it said, talks were continuing with Magna and RHJ International. The Opel Trust will make a final recommendation on whether Magna or RHJ should take a majority stake in Opel and its British sister brand Vauxhall. But the U.S. government, GM's majority stakeholder, and the German government will have a decisive say. The trust has a 65 percent stake in Opel and GM has 35 percent. The trust comprises GM and German government representatives in equal numbers. Writing on GM Europe's Web site last week, John Smith, GM's chief negotiator for the Opel sale, said Magna's bid "contained elements around intellectual property and our Russian operations that simply could not be implemented." Smith said RHJ's bid would represent "a much simpler structure and would be easier to implement." German politicians believe Magna's plan for Opel will save more jobs at the carmaker's German factories and give the company a long-term future. They fear RHJ will sell Opel back to GM after carrying out a tough restructuring, largely funded by German taxpayers' money.